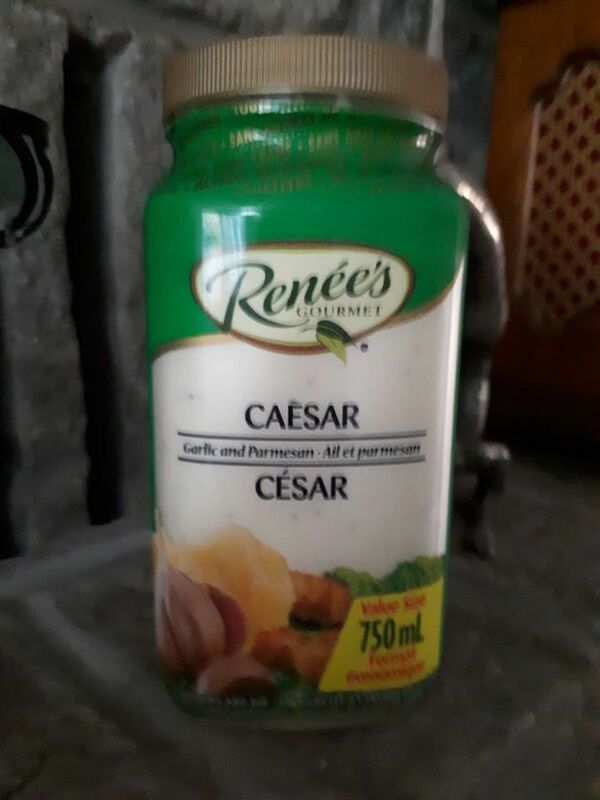 Cette vinaigrette est peut être un peu plus cher que celle de la marque connu kraft mais elle en vaut totalement le prix. C’est la meilleure vinaigrette césar que j’ai goûté. Elle est onctueuse , goûteuse et juste parfaite. Lorsque je reçois tous les invités l’aime bien et je me sens confiante lorsque je leur sert. Définitivement à acheter. Le seul point négatif c’est qu’elle se conserve moins longtemps mais ce ne sera sûrement pas un problème vu à la vitesse auquel vous risquer de la manger si vous y goûter. 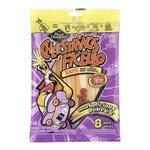 This product won my heart. Its creamy , cheesy, garlicky. 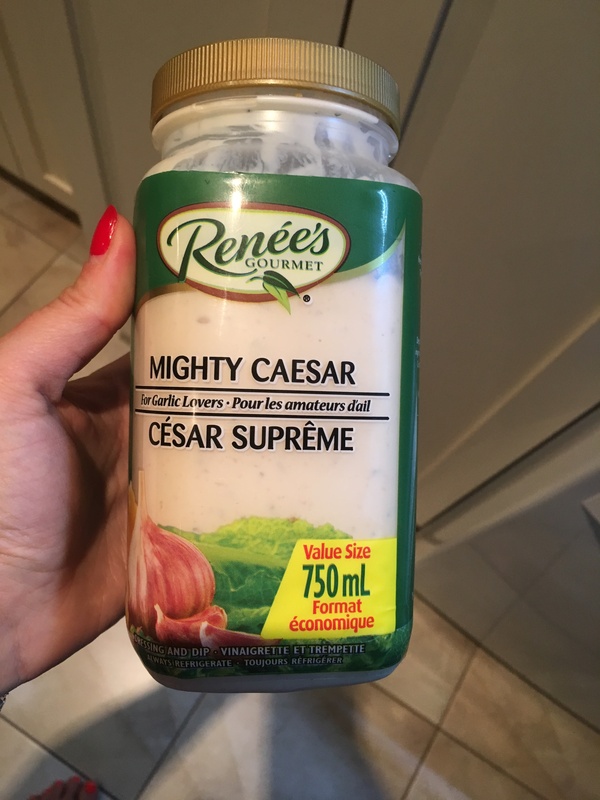 Great as a dressing for your salad or as a dip for your fresh vegetables as well as drizzling some onto your cooked cauliflower or broccoli. 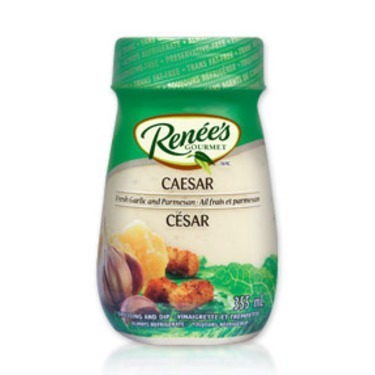 Our whole family loves this dressing. Our 3 year old can't get enough. 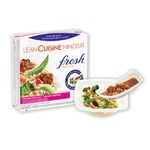 She uses it as a dip for veggies or fries. 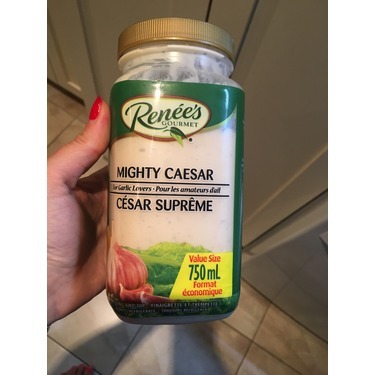 We make caesar salad once a week and this is always our choice for dressing. 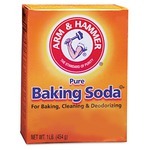 When we have people over for dinner we always get asked what brand we used because they love it too ! Love this dressing. 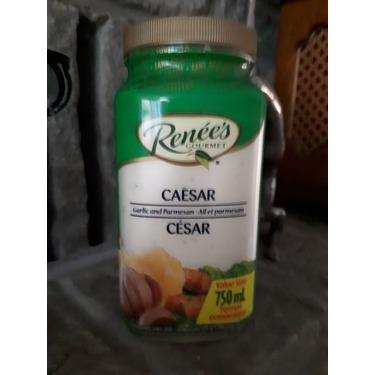 It delivers quality and taste you want in a Caesar salad. A bit more pricey than average dressing but definitely worth the extra cash! I was hesitant at first to purchase this dressing, as the price point is a bit higher than the shelved dressings. I’m so glad that I did! 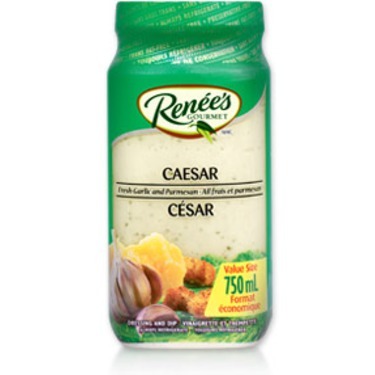 This dressing has become a household staple as the taste simply cannot be beat. Thick, creamy garlicky dressing that is so delicious! This dressing is a must try! Quelle délicieuse sauce à salade. Pour avoir essayer d'autres marque, celle-ci est la meilleure selon moi. Crémeuse et équilibrée. Je vous la conseille! 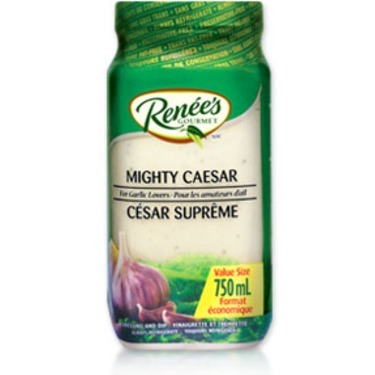 This is my favourite Caesar dressing. Very fresh and flavourful. 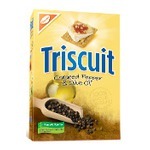 It has a good amount of garlic/seasoning but not too strong/over-powering. Very creamy as well. I like that you can add however much/little you want according to your own preference and that it is a resealable container. 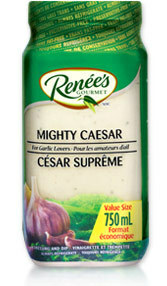 You got to try the mighty garlic cesear! 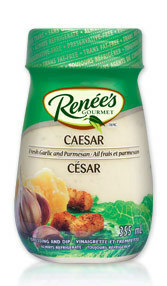 Renee's cesear dressing is great but the Renee's mighty garlic cesear salad dressing is so much better even. The garlic is extreme, as it should be, and makes everything so much better! Enjoy! The best, hands down. Texture is creamy with the perfect amount of garlic. 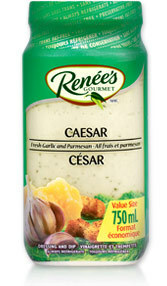 If I am buying store bought Ceasar dressing, this is the only one I buy. Highly recommend!